The Cooper Creek to Cunnamulla Bike Ride 2018 will also be a great adventure as riders challenge themselves against the elements to ride the 470km journey over four days either individually or as part of a team. One family of riders the Higgins family which consists of Julie Turnbull (nee Higgins), Leigh Hobson (nee Higgins), Kylie Jones (nee Higgins) and Perry Higgins will again take on the challenge while sister Merry Teelow (nee Higgins) has commitments in town and brother Tim Higgins will be getting ready for the Cunnamulla Anzac Day Races hoping to train a winner to celebrate with the group on their return. The Higgins and generations of their ancestors have the Outback etched into their souls and have played a major part in taming this tough country and the development of what Cunnamulla is today dating back to the mid 1800’s. Just 100km further west of where the Cooper Creek to Cunnamulla Bike ride starts is Nappa Merrie Station east of Innamincka. The Dig Tree is located on a reserve at Nappa Merrie and represents the epic journey of the Burke & Wills. The Dig Tree is a Coolibah tree thought to be 200 – 250 years old and was carved with a message in 1861 for some of the Burke & Wills party to find provisions. Burke & Wills expedition was led by Robert O’Hara Burke & William John Wills who set off on an Australian Expedition in 1860 with 19 men. 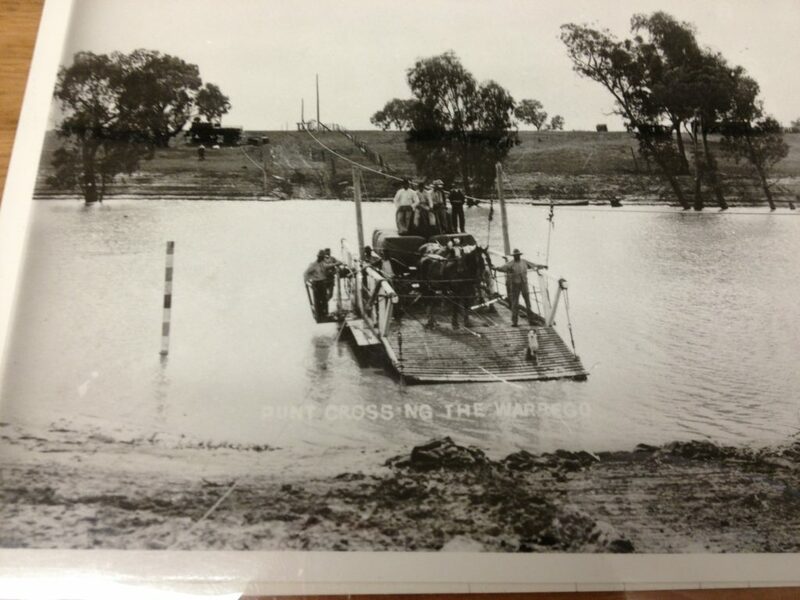 After a journey of many struggles from Melbourne the party eventually reached Menindee. It is here in Menindee at The Maidens Arms pub that Thomas Pain great great grandfather to the Higgins is written into the history books. Thomas Pain Senior built a shanty pub in Wentworth and later followed the river to Menindee where he built another pub “The Maidens Arms”. For those that know their Burke & Wills history this pub is where Sargent Bourke stayed while passing through on his Burke & Wills expedition of Australia. It is recorded that Sargent Bourke regarded Thomas (Tom) Paine as a fine friend which great, great granddaughter & proprietor of Cunnamulla Newsagency Merry Higgins says, “translated simply means they got on the rum together”. Sargent Burke frequented the pub while at Menindee and stayed there while Wills and the crew all camped out of town. It was Thomas Pain that Sargent Burke asked to travel to Melbourne to get them more stores for their journey which he did however before Pain returned Burke & Wills had already set off for Cooper Creek where they set up a depot camp. Thomas Pain married Bridgette Egan and they had a number of children die during childbirth however four surviving children three boys, Tom Jnr, George, Frank and one daughter Elizabeth. Bridgette died at a young age and Thomas soon moved to Cunnamulla with his four surviving children where he took up Bowra Station on the Western side of the Warrego River. The main homestead was constructed of mud & straw and is the old green fibro building on the current Cunnamulla Golf Club site which was once part of Bowra Station. Thomas Pain was an active and respected member of Cunnamulla town & district. Pains were instigators of the Cunnamulla State School being built, trustees of the racecourse and the Cunnamulla Cemetery. To be a trustee you had to be invited and be a person of standing in the community. The Pains were gamblers, drinkers and race horse trainers, a tradition that great, great Granddaughter Merry Higgins says, “has been inherited all down the line” and is alive and well in the family today. Back in those days there were lots of race meetings that were great social gatherings and would last for up to one week. Squatters would come to town and camp at Mr Pains Bowra Station. 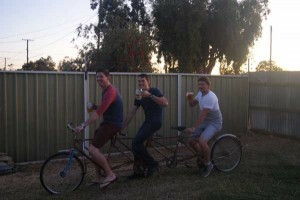 In between official races the squatters would be drinking and racing their own horses around the property. Tom Pain died of peritonitis in 1882 aged 67 years and is buried in the Cunnamulla Cemetery. Tom Pain Jnr it seems followed in his father’s footsteps and in 1883 became the Chairman of Paroo Divisional Board a position equivalent to a Mayor today. He later died amongst some controversy as he was found dead from an unexplained shotgun wound. The remaining Pain brothers had to sell Bowra Station to pay out Tom Pain Jnr’s wife as their part and gambling habits had left them no cash reserves. Once Mrs Pain received her share of the sale of Bowra Station she ran off to Mildura with the local bank manager, so today there are many Pains in the Mildura district. George Pain was out riding his favourite horse Native Dog when the horse tripped and fell killing George. The last remaining Pain Brother Frank took his family and moved into Cunnamulla on the Southern Side of the bridge. 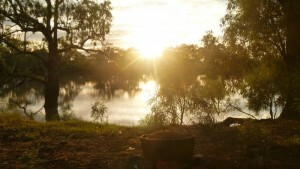 They had a hut there and Frank became the puntman and operated the town punt across the Warrego River. The punt was established in the 1880’s by the Paroo Divisional Board operating across the Warrego River as a money making concern. To ensure everyone would use the punt and pay the Board attempted to enact by-laws making it unlawful to swim horses or crossing within one mile of the public “Punt”. Frank Pain the puntman would guide the punt across the river by pulling an overhead cable. In July 1895 the Punt encountered what might have been a very serious accident. The Cobb & Co Coach heading for Thargomindah on a Tuesday morning 9th July 1895 almost met with grief. After crossing the river, the puntman made fast to the bank so the coach could land, however immediately the horses stepped on the landing place the rope by which the punt had been made broke and the coach dropped into the Warrego River. Fortunately the water was shallow, and the driver and horses were able to stop the coach from going into the deep water. The only passenger aboard the coach got in beyond his depth and was only rescued after he had experienced a very decided ducking. The Punt crossing the Warrego River Cunnamulla and Fran Pain the puntman. The mail and a considerable number of articles which were being forwarded to their destinations by parcel post, were all drenched, and had to be spread out in the sun for several hours before they were sufficiently dry to admit of their being forwarded. The Cobb & Co Coach sustained some damage, which was repaired in a few hours, and at 1 0’clock the coach and its mail was despatched to Thargomindah. Within a few years the punt was closed as the Paroo Divisional Board received a petition from 17 ratepayers that a bridge be built across the Warrego River at Cunnamulla. We trust the Cooper Creek to Cunnamulla Bike Ride 2018 participants will feel a sense of nostalgia and a connection to this Outback Queensland and Cunnamulla history as they travel over the 470km journey taking in some amazing scenery, wildlife and birdlife. One thing is guaranteed and that is they will have the time of their life, reconnecting with old friends and make some new ones. We look forward to standing in front of the Club Boutique Hotel Cunnamulla to welcome the cycling adventurers of 2018 as they arrive in Cunnamulla crossing the Darby Land Bridge around 11.30am 25 April after the Anzac Day Parade. For other great articles and historical images see our blog! In Uncategorized Tagged anzac day Tim Higgins, birdlife, Bowra Station, Bridgette Egan, Bridgette Pain, Burke & Wills Expedition, Club Boutique Hotel, Cobb & Co Coaches, cunnamulla, Cunnamulla cemetery, cunnamulla history, Cunnamulla Newsagency, Darby Land Bridge, Elizabeth Pain, expedition of Australia, Frank Pain, gambling, George Pai, Innamincka, Julie Higgins, Julie Turnbull, Kylie Higgins, Kylie Jones, Leigh Higgins, Leigh Hobson, Menindee, Merry Higgins, Merry Teelow, Mildura, Nappa Merrie Station, Noccundra, outback, Outback Queensland, Pain Brothers, Paroo Divisional Board, Perry Higgins, punt, puntman, Queensland, Raceing, Robert O'Hara Burke, Sargent Burke, Thargomindah, The Dig Tree, The Maidens Arms Hotel Menindee, Thomas Pain, Thomas Pain Snr, Tom Pain Jnr, warrego river, wildlife, William John Wills Bookmark the permalink.